There are important historical and democratic reasons for why Canada’s Senate should not vote down a legislative proposal that has its origin as an election promise, writes Senator Peter Harder. This article by Senator Peter Harder, the Government Representative in the Senate, was originally published in Policy Options on April 5, 2018. On March 22, Parliament faced an anxious moment when Conservative senators tried to manoeuvre the defeat of Bill C-45, legalizing cannabis in Canada. There are important historical and democratic reasons why Canada’s Senate should not vote down a legislative proposal that has its origin in an election promise. In this article, I attempt to explain, and to put into some historical and international context, why senators did not have the democratic legitimacy to vote down this legislation, or other Bills that Canadians had their say on in an election. The electoral trouncing that Winston Churchill experienced at the hands of the UK Labour Party in 1945 was monumental for many reasons in that nation, and for one in particular in this one. Deeply admired at the time for his prosecution of the Second World War, which had just ended, the former British PM nonetheless lost the election to the Labour Party, which ran on a radical program promising national health care, full employment and a widening of the welfare state. Amid worries that the Labour agenda would be blocked by the Tory-dominated House of Lords, British politicians reached an understanding that the unelected Lords would not defeat Bills implementing promises included in the Labour campaign manifesto. Thus it was that the Salisbury Convention was born and is in practice to this day, both in the UK and in Canada. This little-known custom holds that senators do not defeat Bills implementing promises made in campaigns won by the government party. It has been a long-standing tradition in Canada that the Senate should not defeat Bills or insist on amendments that would have the effect of gutting pledges made during an election campaign. Given that the Senate is becoming a chamber increasingly dominated by Independents (thanks to the fact that all newly appointed senators no longer sit in caucus with their House of Commons brethren), it is worth looking again at how the Senate should deal with legislation born of promises made at election time. 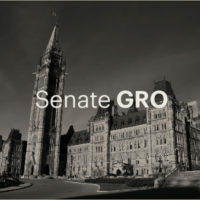 Simply put, the Senate is a complementary chamber that reviews, analyzes and amends, but whose role does not include voting down the legalization of cannabis. On this issue, the Senate must defer to the democratic will of Canadians. Moreover, fealty to the convention is particularly important in a Senate with more Independent members, where the government, without a caucus, has no lever with which to whip senators to ensure the government’s electoral program is not blocked. So when 28 Tories — who are still whipped — voted against, journalists and others had reason to wonder whether the Independents would stand together to vote in favour. All but one did, and the Bill survived. Standing votes like this one are almost never called when a Bill is at second reading in the Senate, and their rarity was the trigger for all the anxiety. The March 22 vote came after Opposition Leader Andrew Scheer ordered that the Senate Conservatives use “all democratic tools” available to them to try to block the Bill. It is troubling that an elected MP — the Leader of Her Majesty’s Official Opposition, no less — would openly seek to kill Bill C-45 through his Senate caucus. It is one thing for members of Parliament elected under the Conservative banner to vote against an initiative in the government’s election platform. It is quite another for unelected senators to do so. Let me be clear. The Senate does have the right to turn down a Bill, and I believe that it would be morally empowered to do so to protect Canadians against tyranny, oppression or an egregious deprivation of Charter rights. One can imagine, for example, a Bill that would allow for the immediate torture or forced detention of a specific ethnic group, or one that would overtly and arbitrarily disenfranchise Canadian voters with no due process. One can speculate as to when this might arise, if at all, in a country like Canada. Yet history has shown that the unimaginable is not the impossible. In such circumstances, the Senate’s veto acts as an important safety valve. But it remains a fact that the Senate has voted to defeat but four government Bills since the Second World War, according to an analysis of Senate records. Three of those vetoes were the result of unexpected tie votes, while the fourth was uniquely directed at the treatment of a specific individual, in the context of the infamous Coyne Affair, a protracted public dispute between the Governor of the Bank of Canada, James Coyne, and the government of John Diefenbaker. That episode culminated in a government Bill that had as its only goal the removal of the Governor from his post. It was defeated outright. Finally, let me lay out one other reason why senators ought not to vote against the will of Canadians as expressed through the results of an election: doing so would harm the credibility of the institution itself. For example, after the 1945 UK election, it was not, as some might assume, the governing Labour Party that insisted on adopting the Salisbury Convention. In a presentation to the Canadian Senate’s committee on modernization, Lord Wakeham, no less a figure than a former Conservative leader of the government in the House of Lords, explained that it was the opposition Conservatives who were mindful of the damage they could do to the House of Lords by obstructing Labour’s program.